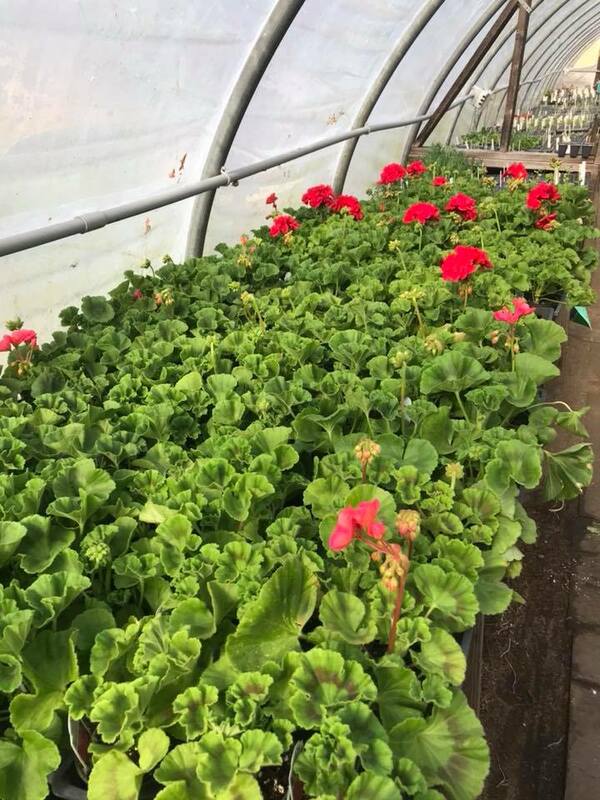 This past winter, the greenhouse crew was working hard to put together a bonanza of flowers and vegetables for our Vineyard Gardens. 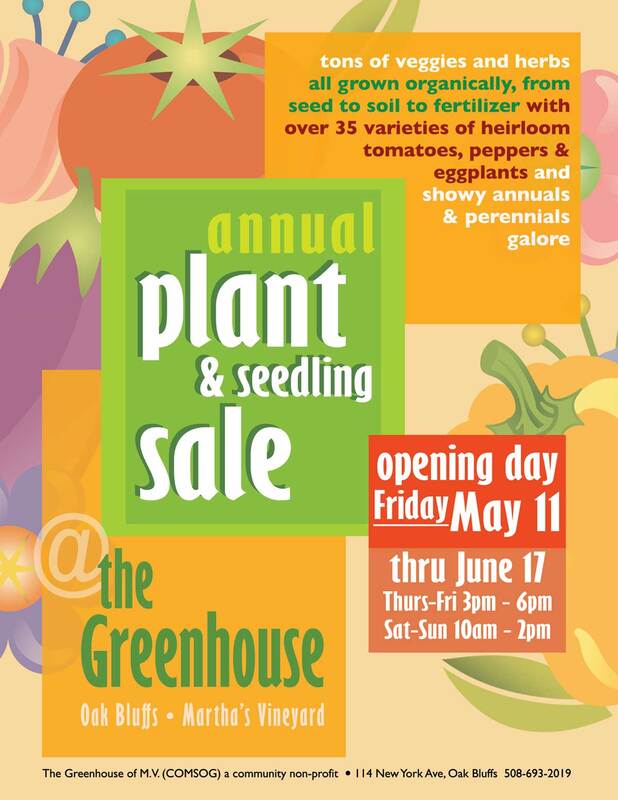 Membership has been actively starting cuttings and seedlings and the greenhouse is bursting with color. There are hanging baskets of every color, and pots of flowers and greenery for window boxes. Kale, lettuce, and tatsoi are hardened off and ready to plant and of course there are tomatoes. 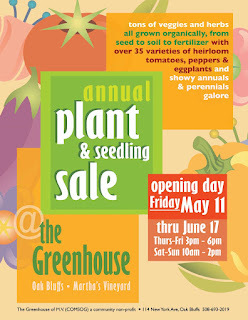 There are 40 varieties of tomatoes this year. We have heirloom and hybrid, determinate and indeterminate. We have red, yellow, orange, and purple and of course everybody's favorite cherry tomato, Sungold. 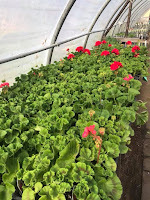 Geraniums a greenhouse favorite are selling fast.